We are out West heading between Manal and Hynish. 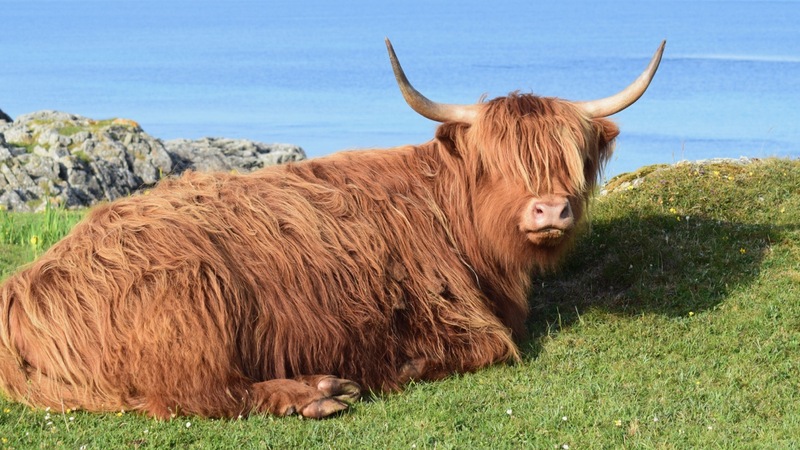 There she appeared the Matriarch of the Machair. There she stood between the rocks. Yet only metres from the shore. In these hot sunny days you chust have to grab a rest when you can. 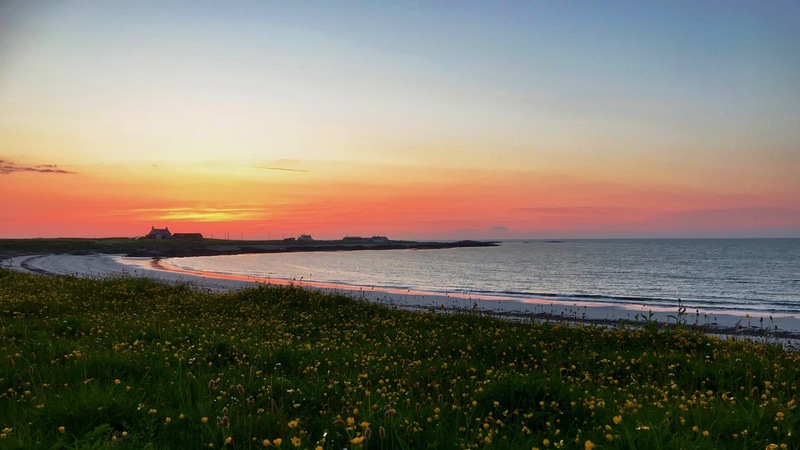 It is three weeks since we returned to Tiree from our holiday. In that time we have enjoyed a spell of sunny, dry weather. This is the first day that have had any rain at all. Tonight high winds are forecast. The Met Office has issued a warning. So on a wild evening and even wilder night it is good to look back on sunnier days. 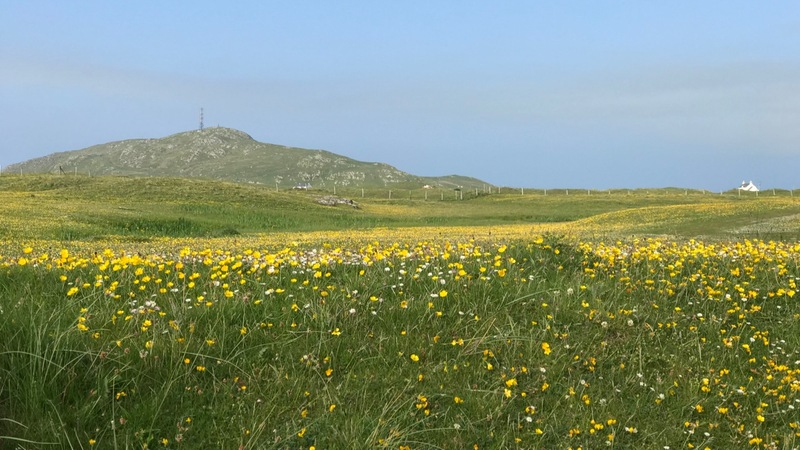 Since our return to the island the Machair has been magnificent. The sunshine has brought eye watering colour to the isle. East to West the Machair has been a blaze of colour. 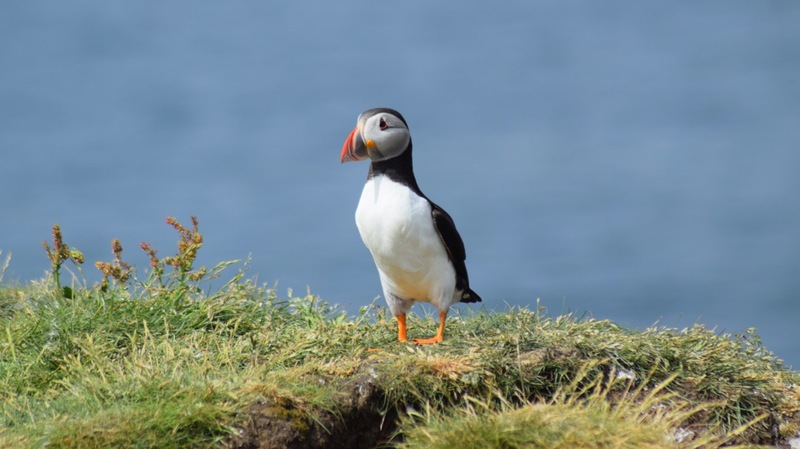 With flat calm seas it has been ideal for taking a sea tour. First we had an overnight stay on the Isle of Coll. 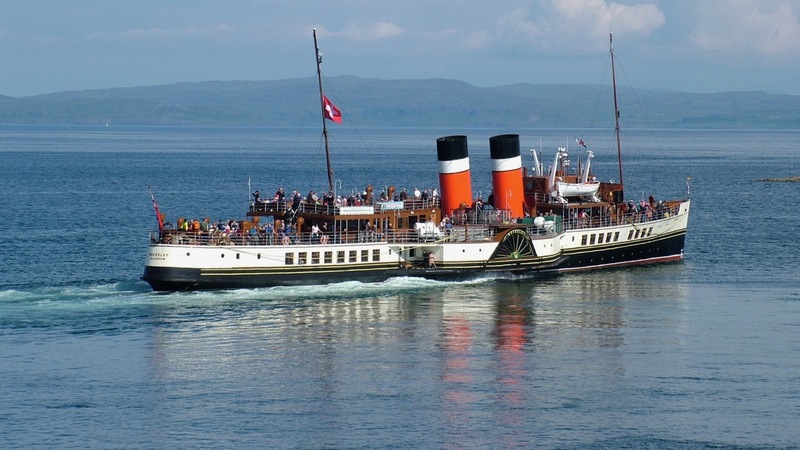 This coincided with a visit of the PS Waverley. 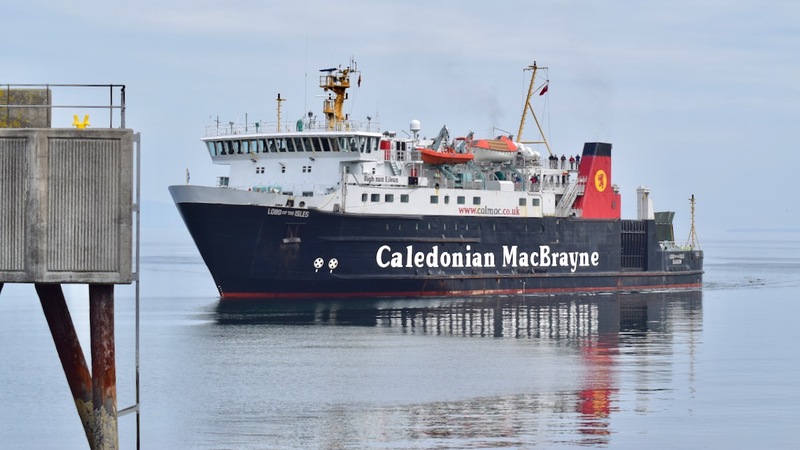 The MV Clansman had returned to dry dock for essential repairs. 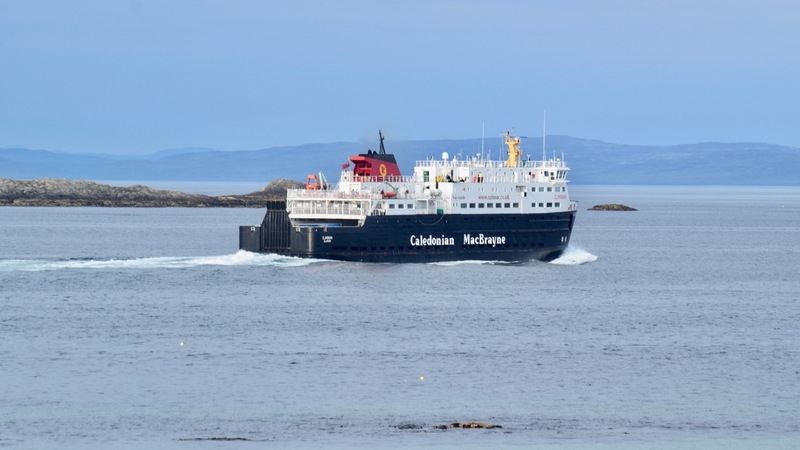 The ferry replacing her was the MV Lord of the Isles. we are looking at the ferry from Coll pier. Today we have looked out on ‘White Horses’. What a change from the flat calm seas of the past weeks. On a day when Gott Bay was like a mirror we visited the island of Lunga. On that sunny day a long held ambition was fulfilled. 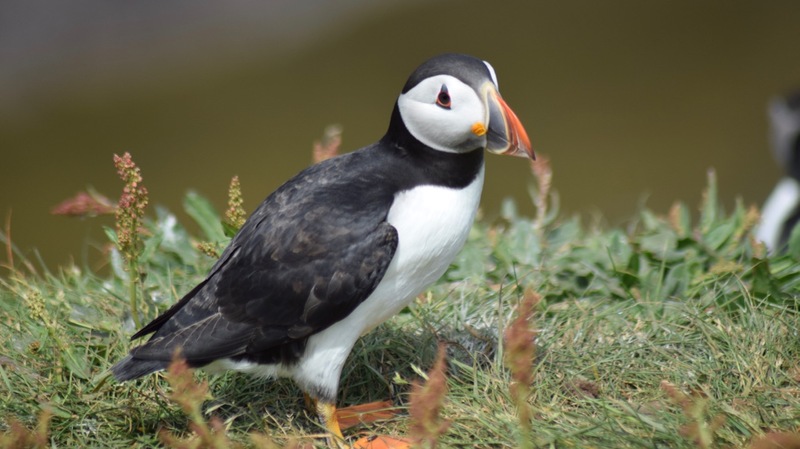 The memory of the puffin colony will remain with me for a long time. 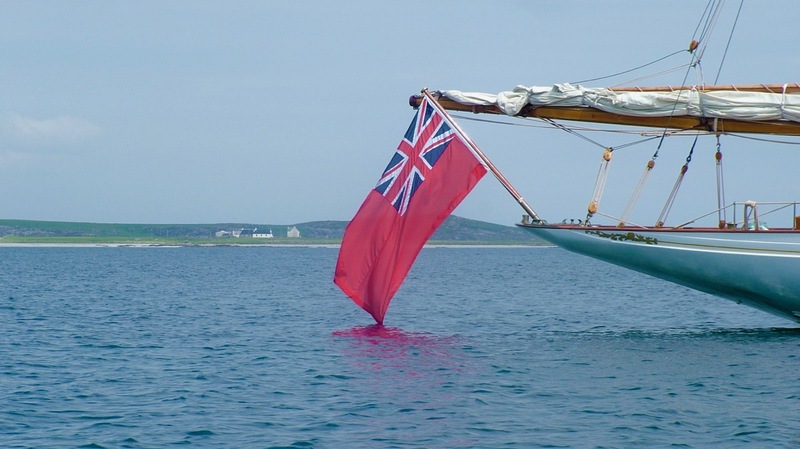 The stern flag of the yacht ‘Kentra” (Glasgow) reflected in the waters of Gott Bay. The Isle of Coll is very different from the Isle of Tiree. 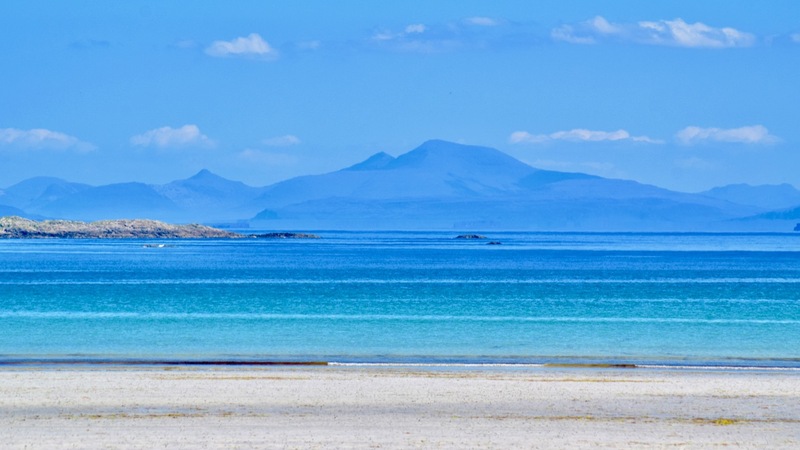 Coll’s beaches, though beautiful, are only on one side of the island. 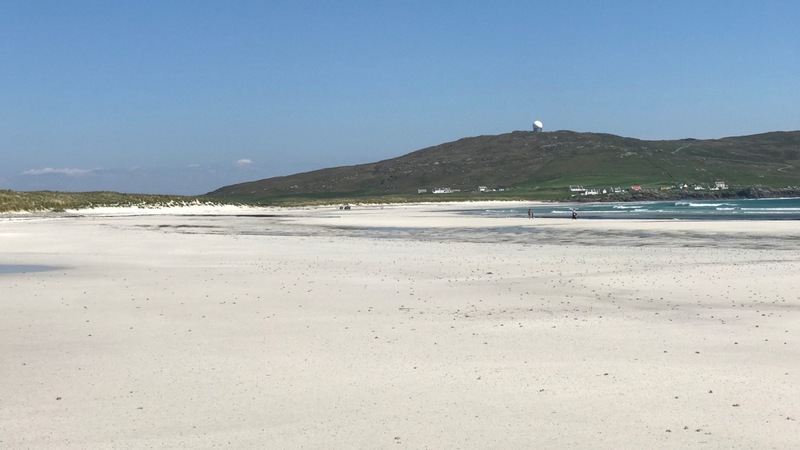 Here on Tiree we are surrounded by beaches right around the island. Some people have a favourite beach, however I simply appreciate them all. 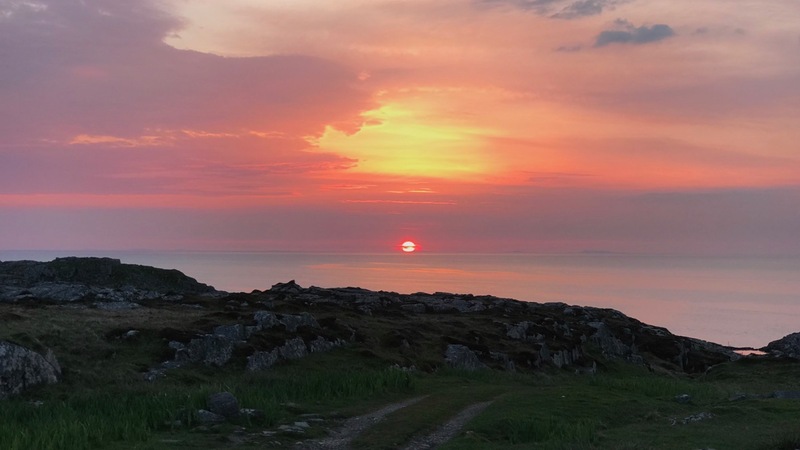 The sunny days have often drawn to a close with glorious sunsets. 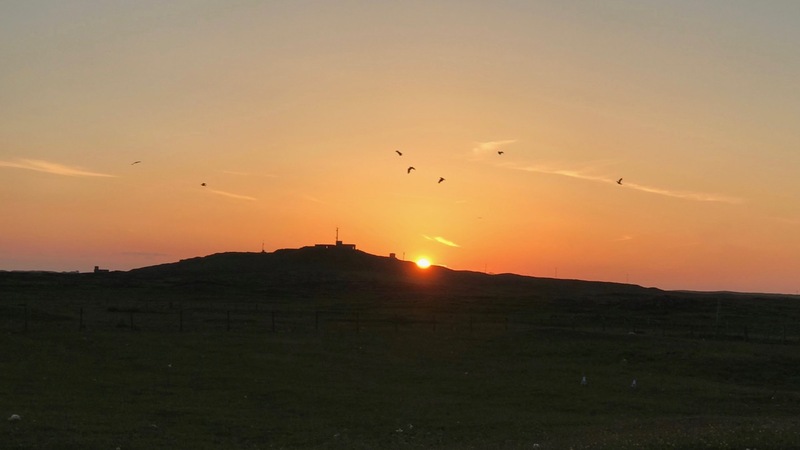 Tiree’s BIG open skies provide a great canvas for the setting sun. Add to that the long hours of daylight – the gloaming’. Some times we have experienced the sunset as we have been driving home. On other occasions we have driven to a specific location to watch it. However, we never have to travel far to appreciate it. It is a grey evening. Outside the wind is rising. The hatches are battened down. What colourful memories to treasure of the past three weeks. Surely an excuse to have another picture of Lunga’s colourful clowns.